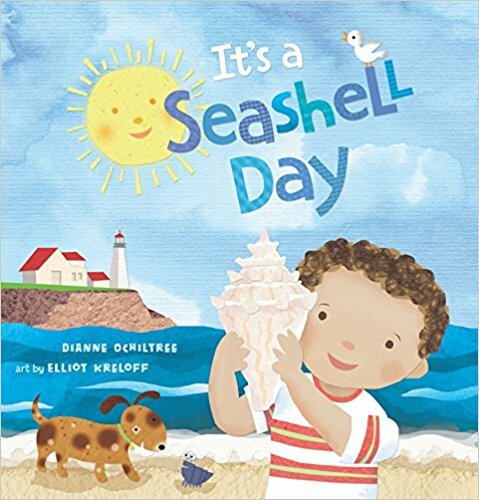 Sunny-as-a-summer-sky rhymes chronicle a mother and son sharing a day of sand digging, seashell collecting, and seashore exploring. Kids will learn about a variety of shells and count along with the boy as he totals up his collection, puts his shells away, and then drifts off into a well-earned bedtime. A spread of seashell facts caps off the story. This captivating, narrative nonfiction title featuring nature and counting is an ideal fit for home, preschool and kindergarten bookshelves. Pair it with the author’s beloved It’s a Firefly Night for a delightful day-to-night duo.